There’s no doubt that technology is having a significant impact on the way that financial data is collected, processed, analysed and delivered to clients. And it’s clear that roles and responsibilities are changing as firms understand how technology can be used to bring about changes in systems, processes and behaviour. Existing jobs are being redefined and new ones created as firms seek to create greater efficiency of production and value of service. 7. Experience – the ability and skills to understand client expectations, meet desired outcomes and create value. It’s clear that a broad range of skills beyond technical competence is necessary to really engage with clients in the future public practice environment. Whilst individuals are always responsible for their own professional development, the leaders and managers of accounting firms also need to be focusing on providing appropriate training and support to their staff. Probably the most important skill that all of us will have to master will be continual growth and development. The days of learning to do something and repeating that until retirement are long gone. 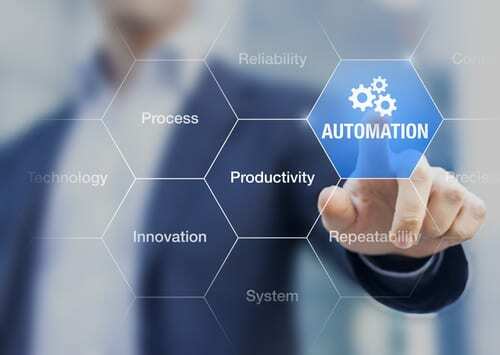 Even today, with automation in its earliest stage, things change rapidly and we have to find new ways to do old things or figure out how to do something altogether new almost every other week. Many firms are struggling with the implementation of software platforms in the advisory space. Technology is sometimes seen as an end in itself (the service), whereas it is simply an enabler of a change in behaviour. For example, an accountant wishing to develop stronger relationships with business clients may see real-time financial reporting as a way to engage more readily with clients. However, without the skill to open up conversations, the benefit is simply not seen. When clients fail to agree to ‘quarterly financial reports and meetings,’ it’s often clear that the value proposition has been misdirected towards outputs (reports and meetings) rather than process (engagement and communication). It’s the latter that provides real value to clients. It’s no good having managers who are unable to have broad conversations with clients. By broad conversations, I mean conversations that go beyond the tax and accounting matters at hand. The best way to develop client relationships is to show an interest in the client. And this should start as early as possible when working in public practice. How many of your younger staff have the opportunity to talk with clients (with clear guidelines of course). It’s only by starting this process early that accountants will develop the confidence to have broad and deep conversations with clients. We’re all aware of the importance of seeing ‘beyond the numbers’ to really understand what’s going on in the client’s world. So, what are you doing to teach these skills to your accountants? A simple curiosity about the numbers is a great way to start. Staff should be encouraged to ask questions, even if they seem basic. It’s often the basic things that are overlooked. Basic analytics starts with evaluating past patterns to understand the reasons beyond the patterns. Our staff should then be trained to predict the future based on these patterns and finally to use this data to drive client decisions to improve financial performance. A high level of collaboration is required to bring together all the information your firm has about the client, especially if you have a team-based approach to client relationship management. With an increasing focus on a broad range of accounting and advisory services for clients, sharing information is essential. Clearly, technology can support this process. However, nothing is more effective than direct communication between colleagues. What do you do to encourage collaboration? Or do your people continue to take a ‘production line’ approach to client management? The best way to develop collaborative skills is to lead by example. Effective leverage requires the delegation of both workflow and client relationship responsibility. It frees up capacity to focus on what’s important to the client. Partners and managers who complain that their staff are unwilling or unable to step up are often struggling themselves to delegate responsibility. As an external advisor, I’m often aware of the transformation that people can make when given some freedom to learn (and make mistakes) by being given responsibility for client projects and tasks. It’s clear that a focus on productivity (chargeable hours) encourages a production-line mentality. Efficiency and value of work are unknown qualities in an environment where inputs and outputs are of primary concern. Do your staff act as highly qualified and paid factory workers? To change behaviour, focus on both the quantity and quality of communication with clients, including engagement, management of scope, active listening and client feedback. It’s not difficult to set up KPIs around each of these activitites. Keep production humming along in the background, but focus on the skills you want your staff to develop to add value to clients and to your firm. Millenials are generally rather good at diagnosing their learning gaps, so they are more interested in bridging these gaps than in the standard courses everyone attends. They like to choose when they learn, which inevitably is a combination of at work training and away from work learning. They generally prefer interaction, movement, video and audio files over text anytime. They like to choose how much they learn at any one time and what device they use for learning. A blended learning approach which combines both face to face coaching with online learning is often the best way to engage your people (of all ages). Is your firm prepared for the future of public practice? Here we have a blueprint for developing the skills and capabilities we need in our people today. What is your firm doing to develop these skills? If you’re not focused on the professional development of your staff beyond technical skills, then your firm will struggle to be sustainable into the future. This article was published in the 2018 Good Bad Ugly Benchmark report. Click here to purchase the report.